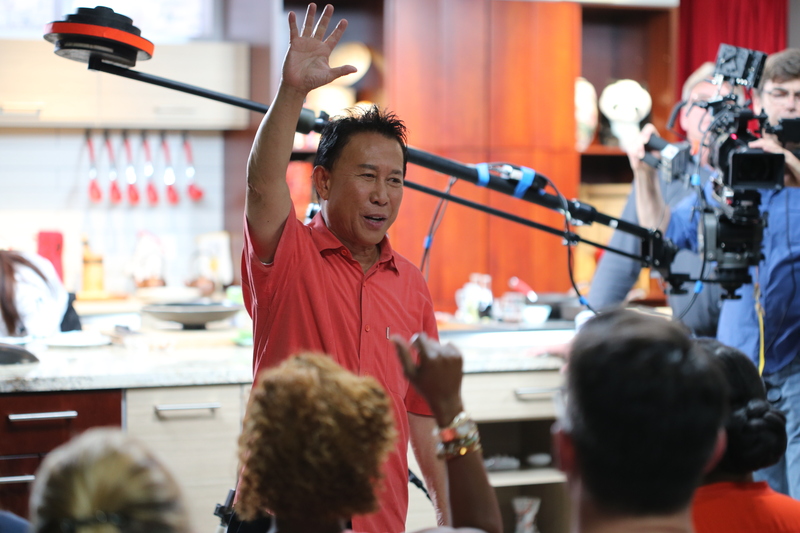 Martin Yan started on PBS in 1982 when there were just two other cooking shows. He talks to us about his early years at U.C. Davis, dim sum with Julia Child, his friendship with Jacques Pepin and Mary Ann Esposito, and what keeps him going on TV for 40 years. We recently spoke to Mary Ann Esposito and told her you’re back on our lineup, since your old friends. She has the longest running PBS cooking show. You started earlier in 1982, but not as consistently, right? When we started it was only Julia Child and Graham Kerr, the Galloping Gourmet. We never stopped doing the shows. I started working with PBS since 1982. October 1978 I started the first “Yan Can Cook” in Canada. Our show used to be on commercial stations in Canada, we used to do 130 shows a year rather than 13 or 26. So I’ve been around for 40 years (laughs). When people come to my office, they’re always amazed how many things we have done, we do things in different places and charity events. And I went to Mary Ann’s house, it’s a beautiful house, I went to a lot of people’s house, her house is my favorite house. Besides Mary Ann, are you friends with other PBS chefs? We work with a lot of PBS chefs and also appear on many of their episodes. I work with Jacques Pepin, Ming Tsai, on their show or on my show or we work on PBS events. We worked with Julia. Jacques and I went to Julia’s house when Paul was still around. We went to her house to say hello to her and have breakfast and cook breakfast for Julia. A lot of the chefs we spoke to have Julia Child stories, do you have a favorite? When I was in college, I teach cooking classes and all my roommates take turn to cook and clean up and I normally volunteer to cook and they clean up. And when we sit down and eat, we have six people in two bedrooms, because we were poor foreign students. We used to watch Julia and I joked with my roommates, “Wow she’s not only good, she’s very funny, she’s very entertaining and very educational and she’s charming. And maybe one day I should be on television too.” That was 46 years ago. And then throughout the years we got very, very close because Julia and Jacques Pepin has a very special relationship and Jacques and I are very, very close friends because both of our shows were produced in KQED. So when we travel, I always take Julia to have dim sum. Julia loved Chinese food, particularly dim sum. So when we were in Chicago, San Francisco, Los Angeles, New York, Boston, we always go out to have dim sum. She loved it because during the World War, I think Paul worked for the State Department and they were stationed in Hunan Province, China so they developed a liking for Chinese food. So, every time we see each other we always take them to Chinese dinner and dim sum. I always tell everybody, “It is her that gives me the inspiration, if she can do it I can do it, too.” That’s why I named my show “Yan Can Cook.” The slogan is, “If Yan can cook so can you.” Those days it was only two cooking shows on the air – Julia Child and Graham Kerr on PBS. It’s very hard for anybody to hang on, there’s only so many slots. So it’s very rare to have something like Mary Ann’s “Ciao Italia” and the “Yan Can Cook” show that lasts for so long. We have done so far close to 3,500 cooking and traveling shows. We’re now running the current season where you go to Malaysia, what do you want to say about this show? It’s getting more and more difficult for funding for sponsorship, so we managed to do “A Taste of Vietnam,” “A Taste of Chengdu.” I just finished Korea. So we are doing a lot of other things. We always try to bring the very best of a country. We went over there and spent 40 to 60 days roaming throughout a country. We talk about the history, heritage, the people, the food. It’s a show about people, beyond just talking about food. Unlike the earlier show I did “Yan Can Cook” was concentrated on cooking and food. Malaysia, like the U.S. is a melting pot. Chinese food over there is also very diverse, then you also have European influence. Throughout Malaysia they have a lot of spices. Europeans went to Malaysia to fight for the spices. So what we try to do is not only talk about food, but people and history. So it’s a very, very expensive, grueling, and tiring project, just like doing a film. Long hours, we normally get up at four and leave the hotel by six after breakfast and won’t come back until 10 o’clock. We spent 68 days in Malaysia, 65 days in Korea and 54 days in Chengdu and almost 75 days in Vietnam. You’re the first Asian cooking show on PBS, what has been your goal and aim since you started? When I first started, Chinese food was still not very popular. You go to supermarket, you can only find bean sprouts and spring roll wrappers. Now 40 years later, you go to any supermarket there’s an entire aisle of Asian seasoning and items. And everybody most likely they would have chopsticks, a bottle of soy sauce and a wok. I look at myself more as an ambassador of goodwill because food and cooking brings people together, not just your family and friends, but brings people around the world together. I have a restaurant “M.Y. China” in San Francisco. I take people to all over China, every year I do two tours. One is for chefs and one for leisure cooks. We’re doing another one with KQED, a fundraising event, to the home of panda and also the Spice Kingdom – Malaysia this year. We believe, I’m sure Mary Ann and Joanne Weir and Jacques believe – we have a wonderful skill and opportunity to bring people from around the world, particularly where we were born. Jacques and me, who were born in the old country. I started when I was 13 cooking in the kitchen because my father had a restaurant, so we all love to be the cultural ambassadors to bring people of the two countries together. Besides doing Chinese, I also do Asian food. Forty years ago there were very few ramen noodle, Vietnam noodle house or sushi restaurants. You’re known for your quick knife skills, is that something a home chef can master or is that an innate skill? Just like anything else, if you do it repeatedly long enough, then you’ll become proficient in it. Anybody can do it if you do it enough. I bone a chicken in 18 seconds, but there’s no reason to bone a chicken in 18 seconds (laughs). 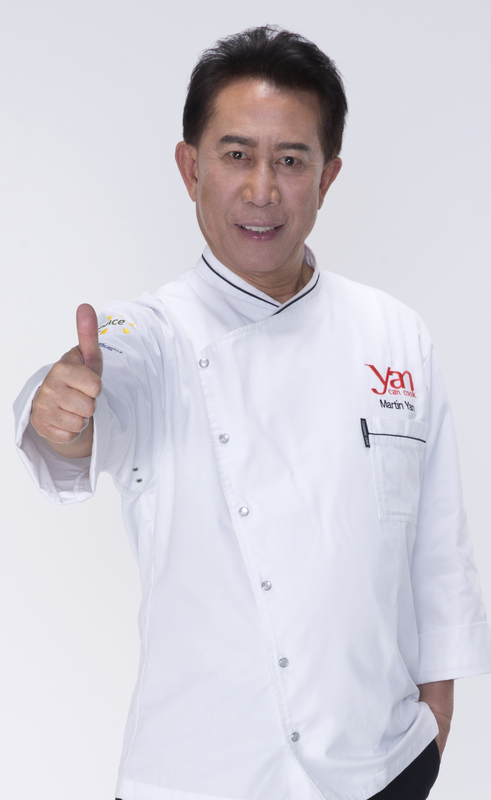 “Yan Can Cook” show is not only educational, but also we try to make it interesting and entertaining. A lot of things I do is to try to excite people and draw people’s attention. When I mash the garlic, you don’t have to mash the garlic so fast. I just smash it. I’m just having fun. You’re one of the only connections to that earlier time on PBS, you’re a PBS classic chef. What made you originally want to cook on TV then? I’m in the right place and right time. When I was in college, being a poor foreign student, I can never make enough money to pay for rent and food and tuition. We have to pay three times as the locals, so I started teaching cooking class and doing catering, and I teach at U.C. Davis extension. A lot of people came to my class, or their family or their grandparent. And during that time, I was watching Julia’s show. And I said, “Gee, maybe one day I do the same thing.” During the cooking class I honed my skill, I taught cooking class for six years in the university. I developed a few movements like boning the chicken, cutting up things without looking at it (laughs) and smashing garlic. I just do it having fun. I always believe a kitchen should a fun place, should be a happy place. If you love what you do, you don’t have to work a day in your life. The reason we last so long is because we’re passionate about what we do. 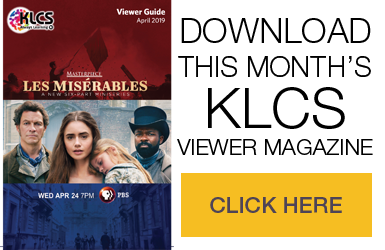 Very few of the PBS television hosts became rich. We’re just having fun. The world of TV and media has changed so much since then, what keeps it fun for you? I love to cook. I still cook at home. Every morning now I have a bowl of vegetable soup, sometimes I add tofu. I normally stay away from using a lot of butter, cream, so I try to maintain good health. You’re talking to millions of people. The “Yan Can Cook” show aired in 60 countries and we reached two billion potential audience, so you know whatever you do or say, you impact a lot of people. As a chef, as a cooking teacher, you love to share. When you cook, you don’t cook just for yourself. You cook for your friends, students, fans, neighbors, so we invite a lot of friends and neighbors to come to our house once in a while and we all cook together. What feedback do you get from fans? My reply is, “Even though I love to cook and my wife loves to cook, I end up cooking because I can cut up a chicken, chop all the vegetable. I can bone a chicken in 18 seconds. It took my wife two hours to bone a chicken. If I have my wife cooking dinner, I won’t have dinner until 10:30 in the evening.” I have to practice my knife skills like a tennis player. If I don’t touch my knife in two months, I won’t be able to get it as fast. I use my knife everyday. Do you get feedback from fans that your show takes them back to a quieter time? Our show has been all over the U.S. and the world and when I bump into people, we became friends. 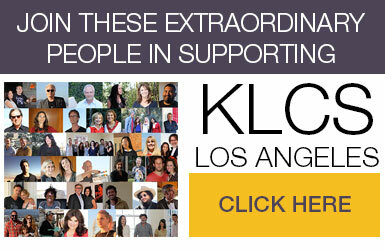 I was just in Los Angeles for the WildAid foundation. I planned a vegetarian menu and I talked about the menu and why I got involved in WildAid. The “Yan Can Cook” show is very unique, we capture a really wide range of audience. You’ll have a tremendous cross section. We have been very fortunate because I develop a format that I can entertain the whole family. Even if you don’t like cooking, I want you to see how much fun I have, because you have to eat everyday. If you enjoy cooking, it makes life much more fun, more colorful, more exciting. You don’t have to cook everyday, but it would be fun to enjoy cooking occasionally. Now I’m working with AARP as an ambassador, I just did a big event in Hawaii for 600 people and encourage people to get off your chair and cook something for yourself or your friends. If you have more than you can eat, take it to your neighbors and socialize. This is also simple, quick, healthy food. I’ve been doing a lot of these AARP presentations all over the place. I go to La Cienega, the entire street you’ve got all kinds of food. I also go to the Asian enclave, I go to the Vietnamese enclave, downtown, I go to Japanese and Koreatown and eat. I love to try different things. When I go to Vietnam, I only eat Vietnamese food, when I go to Malaysia, I only eat Malaysian food, that’s how you learn. Is there anything you want to add about your show? “Yan Can Cook” has had an unbelievable run. How many shows started in 1979 and still going on? Very few. We do it because we are passionate. We continue to do it because we love to share, we love what we do and we continue to consider ourselves an ambassador, because what can bring people together? Not politics, not religion because everybody have different political and religious beliefs. Food is universal. Food is neutral. Everybody loves good food, even you don’t like this particular dish, it doesn’t mean this dish is not good, because it’s just that you haven’t developed your palate. Just like if you love hot and spicy food and all of a sudden I cook the best piece of filet mignon, you wouldn’t like it. If you go to Louisiana, its the Cajun spices, without the spices like the blackened fish, nobody like it because this is what they expect. So, to us, we are not only ambassador, we are educators, we entice people to really accept good food, whether it’s from the West, East, North or South. So in the true sense, a lot of television show hosts that last for so long its because they love what they do. There’s no reason to do this for money. They love to share, they love what they do. If you work hard, people can sense it. I have “M.Y. China,” this way I can entertain my friends when they come. I do shows in Singapore for 10 years, I film in Malaysia. Now our show is airing in Korea. PBS is only part of what I do.